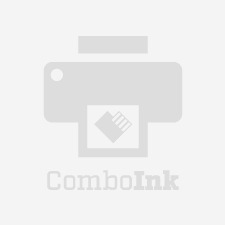 ComboInk is a dedicated provider of high-quality, discount ink cartridges for your HP Business Inkjet 3000N printer. Our compatible ink cartridges offer the same printing quality as the brand name HP printer cartridges. Yet, ours are much cheaper. Letting you save up to 80% off name brands. Our compatible HP Business Inkjet 3000N ink cartridges are professionally engineered to meet the highest quality and performance standards. To ensure this, our vendors are all ISO-9001, ISO-14001, STMC, and RoHS compliant. On top of being reliable, our products are also quite green. They contain recycled parts of cartridges. It's an Earth-friendly method that reduces waste by following ISO-14001 standards. As a reminder, using compatible or remanufactured cartridges will never void your printer warranty. So go ahead. Find your replacement ink cartridges from the HP Business Inkjet 3000N cartridge list below. Start creating your custom combo pack and saving today!